The world has heard that Hamas has been using its power over the Palestinian government to build sophisticated tunnels under its border with Israel. But did you know that many of those tunnels end under kindergartens and hospitals? And that the ends of those tunnels are packed with tons of explosives? Israeli author Mordechai Ben-Menachem is a scientist, technologist and former researcher and lecturer at Ben-Gurion University. He has written 30 books ranging from engineering to history. He is also an ordained minister and a former soldier. He has written a frightening expose of the tunnels (LINK below) that everyone who cares about world peace should read. More than 40 of these terror tunnels have been discovered. The total number could be as much as 100. They cost $1 Million each. Newly uncovered intelligence reveals that a massive attack on Israel via these tunnels was planned for September 24 – at the height of the Jewish High Holy days. The goal: Kill as many children as possible first for maximum “shock value.” Then kill or capture thousands of Israeli citizens – the murders to strike fear in the heart of the nation; the captives to hold as terror hostages. In recent years Egypt has destroyed 1,200 tunnels between its territory and the Gaza strip. Some were large enough to smuggle cars through; many were sophisticated. But the tunnels into Israel show a new level of engineering and sophistication that far surpasses those built in the past. First, the majority start in the lowest level of mosques, schools and public buildings to protect them from Israeli air crews. Then they dig them 60 to 90 feet underground to avoid most methods of detection. With current technology the only feasible way to locate them is to find the entrance or exit. Many have tracks to allow vehicles to carry out the dirt as it is dug, and to bring in the explosives, rockets and ammunition to be used in attacks on Israel. All have electricity and ventilation systems. The old tunnels to Egypt had dirt walls and ceilings shored up with timbers. These new tunnels are much larger, and have well-engineered cast concrete walls and ceilings. They have been built to last for years. Most important is what has been found stored in the tunnels. In addition to tons of explosives and ammunition, investigators have discovered items that could only be used for kidnapping Israeli citizens. These include restraints such as handcuffs and injectable tranquilizers. What amazes me is the ridiculous demands Obama’s man on the ground there, John Kerry, has made on Israel. His terms for a cease-fire included telling Israel to cease all efforts to destroy the tunnels and pull its troops back to its border. The only thing that would accomplish would be to allow Hamas to build new tunnels to replace the one that have been destroyed. Then in another few years Israel would have to go in and do it all over again. So why should the US and the world care about what happens between Israel and Palestine? Because Israel is the only friend we have in that region. One country that the US considers a friend and ally, Qatar, has been financing the terror tunnels. Qatar is the wealthiest country in the world on a per-capita basis, and it has decided to use a lot of that massive wealth to finance terrorism. Where does that leave us? With a well-financed terror group that came very close to destroying Israel. 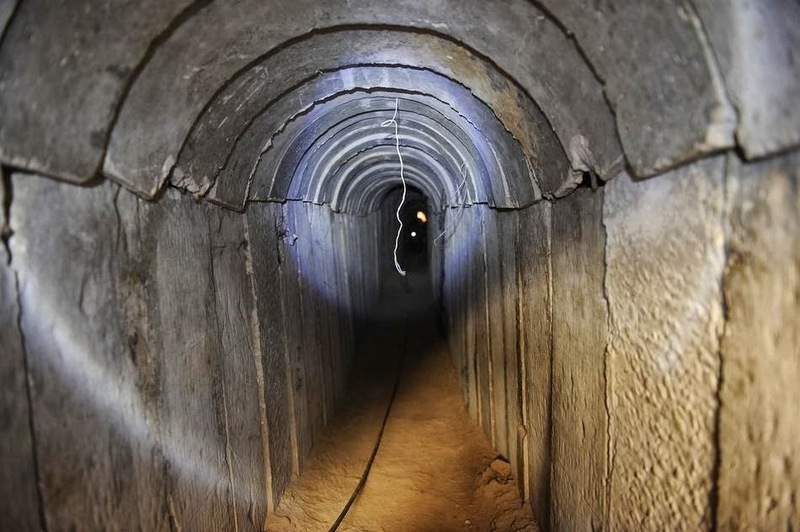 If Israel had not moved against the tunnels when they did, who knows whether it would have survived the coordinated attack that Hamas had planned? Hamas, the PLO, Al Qaeda, ISIS. They all hate “The Little Satan” (their term for Israel), and they want every Jew dead. And all of them hate the US (“The Great Satan”) because we support Israel, and because we are not insane Islamists. Simply put, they want every Christian and every Jew dead, preferably by beheading. But they know that a few dozen 9-11’s would be far more efficient. There are very few “Peaceniks” left in Israel. You know, the ones that said that if Israel would just stop defending itself the Muslims would lay down their weapons and everyone would live happily ever after. They have seen the thousands of rockets fired into civilian areas, and they have learned that you cannot reason with madmen. Unfortunately we still have large numbers of Americans with seemingly marginal intelligence, and are so ill-informed that they continue to insist that “Islam is a religion of peace.” It would be interesting to drop them in a cage of hungry lions and see if chanting, “Lions are peaceful creatures and they won’t eat me” would work for them. The scary thing is that many of these intellectually challenged Americans run the country. Obama and Kerry think they can negotiate with Hamas. Forget about the fact that this nation (and this president) has consistently said "we will not negotiate with terrorists." If we do negotiate, what can they give them? In a negotiation you need to find out what the other side wants. We already know. They want every Christian and Jew dead, and Israel erased from the map. Are we going to accept those terms? Of course not. Then negotiation is a fool’s game. We have two choices as a nation. Hide our heads in the sand and hope that the bad guys won’t build tunnels under our border. Oh, wait, they already have! The drug cartels are running that show, but the Islamists are involved. And once they prove themselves to be world-class experts in the tunneling game, they will become the major players. And they will bring dirty bombs with them when they come. Choice two is to turn back to God. What passes for prayer in this nation is mostly hope. Hope that the crazies won’t fly an airplane into a nuclear power plant. Hope that they won’t poison water reservoirs. Hope that Iran won’t create a nuclear missile capable of reaching us. The prescription is clear. We need to humble ourselves before God as a nation and repent. Then God will hear our prayers and forgive us and heal our land. And for all the people out there who want to use the Bible to admonish us to “give peace a chance,” I have a word of advice. Read the whole Bible, not just the passages that support your hippie flower child view of the world. The Bible says there is a time for peace, and there is a time for war. It seems to me that the time for peace is when the other side is inclined toward peace. 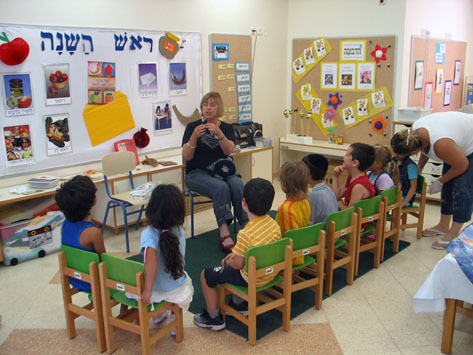 When they’re firing missiles at you and trying to blow up kindergartens, it seems pretty clear that it’s time for war.